I recently heard a presentation from a distinguished scientist speaking about fibromyalgia. The audience seemed to be mostly comprised of people with fibromyalgia. He referred to fibromyalgia as a ‘terrible disease’. My immediate reaction was not very positive as I don’t believe that fibromyalgia is a disease, but rather a syndrome, yet he also referred to pain as a disease, which also surprised me. Language is so important to our understanding of this condition and I prefer to use the word dis-ease. If we feed into this idea of a disease, more and more researchers will continue to search for the elusive and non existent virus or bacteria or continue the search for hormonal issues, without an emphasis on psycho-social causation. Furthermore, there was much in the presentation on what the brain looks like after prolonged pain, but it seems to me that this is a chicken and egg dilemma. I would prefer that the focus be on what caused these changes rather than to assume that people with fibromyalgia are born with genetic defects. However, the question about whether or not we are born with unusual brain wiring or we acquire it from our early socialization is one which may never be answered. The term neuroplasticity was only briefly mentioned once. Furthermore, I would have liked to know his thoughts about whether or not a person could acquire this brain defect in wiring because of socio-psychological issues. He emphasized that fear was a big factor in fibromyalgia, a point that I agree with emphatically. Fear and chronic anxiety are the hallmarks of fibromyalgia. If this is so and the ‘fight or flight’ amygdala reaction of the brain is in constant turmoil, it seems to me that this is psycho-socially induced. But of course, once again, I am only speculating. There were many aspects of the presentation which I did like, for example, he spoke of pain as that which cannot be measured or objectified and that it is a subjective experience. I have written about this elsewhere and concur with him on this. He spoke of fibromyalgia as a central nervous system disease, and although I know this to be true, I would have substituted the word to be a dis-ease. Much of the presentation was very physiological and in-depth description of what happens to the brain as it experiences pain, which was too technical for me to understand fully and I presume for the audience. It did not interest me greatly. What did peak my interest was the “WHY” question, or the “CAUSE” issue. There were many presented, among them: genetic, environmental (among them psychiatric, stress, injury etc), COMT polymorphisms (related to neuroticism…tendency to have negative personality/emotional states…hmmm. the opposite of my theory that FMS people have a higher degree of empathy and sensitivity, a more positive view that that of neuroticism! ), but strangely, none that were sociological. In fact, the entire presentation lacked any sociological analysis. The gender issue was not presented except to say that more women than men have fibromyalgia and sadly only a small sentence was given after the question came from the audience. The reply was that women’s nervous system is different from that of men’s! This of course negates the issue of men and fibromyalgia, which I believe is greatly underreported. So what did that particular presentation leave me with ideas about where science is going with this condition of ours? Certainly there are drugs that are being tested and fibromyalgia is being investigated scientifically with the realm of pain research, therefore the drugs would be related to alleviating pain, and the impact of specific drugs on the brain. Pain is and has been an almost life long burden for me and I would like to know there is something which could help, would not affect my liver or other vital organs, or make me gain weight. So far nothing has had any effect on my pain level and I am not hopeful that much can be done to calm my hyper-aroused nervous system that is in the form of a chemical. I need to learn how to calm my ‘fight or flight’ brain response, not subdue it with drugs. Which leads me to the issue once more about the highly sensitive person(female and male). I am very positive about the acceptance of the fact by scientists that fibromyalgia is a heightened central nervous system sensitivity (coined ‘central sensitivities’). So, I am left once again with the experts on the issue of the hypersensitive individual, the highly sensitive person, which I believe needs to be explored sociologically (that is, exploring gender issues, whilst not once again medicalizing women’s bodies, plus an understanding about why fibromyalgia is underreported in men) and within the realm of the neuropsychologists (who have the strategies to address the over aroused nervous system) and the neuroscientists who are doing the brain research. In my view we cannot continue to view fibromyalgia as a disease and I’m willing to bet that there is a huge cadre of those of us with fibromyalgia who would be willing to be part of brain research, such that I have written about elsewhere. We want to change our brains and calm our nervous system! However, given that fibromyalgia is seen by many as a disease entity our bodies will continue to be medicalized and psycho-social conditions that precipitate fibromyalgia will be ignored. After all, there isn’t much grant money to be given to scientists for research about the social conditions that are present in societies that are plagued with inequities and do not encourage sensitivity. I don’t want to suggest that the several experts of sensitivity have given us a great deal of in-sights regarding gender (which would include both men and women), but hopefully I have done so in my book which presents a theory on why there are more women than men with a heightened sense of empathy resulting in more sensitivity than is psychologically healthy. The highly sensitive person has a great deal of fear: fear of change, self doubt, worry and anxiety. This person is rarely at peace or contented. Always concerned that she or he is not measuring up to real or perceived expectations of others, too much empathy develops. It becomes difficult to regulate emotional arousal: watching films that are violent, grief for others’ pain, and guilt or depression become frequent challenges to everyday living. Highly sensitive persons have an exaggerated startle reflex and loud noises, large crowds and violence of any kind pose tremendous difficulties. I would like for the readers to take the sensitivity tests that are available on-line and also to check in to the several sites for highly sensitive persons. A HSP is one whose nervous system is finely tuned. It is a mixed blessing: on the one hand sensitivity is not highly regarded in many societies, yet by their nature highly sensitive persons are generally very conscientious and responsible, attributes that are necessary in a world fraught with irresponsible acts of anger/ violence and excessive stimulation. I have yet to meet someone who has fibromyalgia who did not describe her/him self as highly sensitive. Were they born that way or is this the result of social/psychological conditions in their lives? This entry was posted in cause, central sensitivities, chemicals, COMT polymorphisms, disease versus dis-ease, exaggerated startle reflex, fear, Fibromyalgia, fight or flight, gender issues, large crowds, loud noises, men are underreported, neuroticism, psycho-social causes of fibromyalgia, self doubt, sensitivity research, subjectivity of pain, syndrome, use of language, violence, worry on February 20, 2010 by Barbara Keddy. I have Fibro and 100% agree with the conclusions you have come to. The question still remains whether this problem is biological,neurological or psychological. What confuses me at this point is why none of the meds have been able to relieve the pain. I even tried oxycotin and still had pain I just didn’t care about it as much. I think the aetiology of FM is more complex than simply genetics or a virus or a response to stress. Maybe it’s all of these, to varying degrees. I don’t think it’s CAUSED by psychosoical factors, but I do think that psychosocial factors influence how it impacts on people and how readily people recover or manage it. There isn’t enough evidence yet of causal factors for me to feel comfortable with any of the current explanatory theories for FM, but there is so much evidence of the role of psychosocial factors in disability and chronicity that it would be very hard to ignore it. Causes are less important IMHO than ways to manage or ameliorate it, and it’s highly likely that these are different. BTW I have yet to find any medication to alter my FM, and at times I end up feeling very irritated and frustrated and fatigued by it, but mostly I just carry on living a life that is in line with my values – this has given me the greatest benefit and relief from that fatigue that comes of struggling against something that can’t be controlled. Thanks for your comments Bronnie. For me, CAUSE is everything! I want to know what caused this demon to affect my life so dramatically. I DO believe it is the HYPERSENSITIVE person who is predisposed to it, but whether or not it is something one is born with or acquires is something that remains mysterious. Being a sociologist and feminist, I am inclined to say that the role of women (and many highly sensitive men) in society affects our nervous systems to such a degree that many of us (highly sensitive persons) become hyper-vigilant and then we are besieged with an over stimulated nervous system. This theory is as probable as any, I suppose, but it has been the one that has made the most sense to me and the many women I have researched, written to or spoken with over the years. Like you I have not found any medications to alter my FMS! Also like you I continued my professional life and now my retirement years managing the best I could and can trying to find ways of late to re-wire my old brain and not become too despondent. I have been diagnosed for about 2 years. I had 16 of the 18 pressure points and most of the accompanying symptoms. I was started on low-dose Elavil, but because of the extreme dry mouth, was changed to Lyrica. Although I have some pain (I also have osteoarthritis), the major “pain” was the sleep disorder. The Lyrica may have diminished the pain, it does have side effects such as weight gain or the inability to lose weight. I am now being weaned off the Lyrica and hope that some weight loss will improve my painful joints. I have difficulty falling asleep, often not before 2-3 AM and then wake up frequently and may or may not get back to sleep. I also become fatigued at the least activity and find myself taking naps both in the afternoon and sometimes in early evening. However, I recently started accpuncture treatments on a heel spur, for which I cannot have surgery at this time. The accpuncturist has been treating other parts of my body and I have been realizing some decrease in pain and other symptoms, but not the sleep disorder part. Hi Peggy: Your story is much like mine. I found that taking Lyrica was dreadful for weight gain and I just came off of it in October but still difficult to get rid of the weight. Very discouraging! I do wish that there was some chemical medication that did not have some side effects and could help with sleep, pain and fatigue! I have not found acupuncture to be very effective but I know of others who have had some positive results. It seems that what works for some does not work for others. I also took Elavil many years ago but that too caused weight gain! Your sleep patterns are somewhat like mine, except I fall asleep quickly and after an hour wake up (often with a night terror) and then difficult to get into a restful sleep, awakening often.Night time is not a good time for me! I relate to your comments. Other than disciplined meditation before bedtime I don’t know what the answer is to those bad nights! I have had the opportunity to read your book and agree with your theory that the highly sensitive person is probably more predisposed to contract Fibromyalgia. I particularly enjoyed with great interest your chapter entitled Psycho-Neurological Overload. I definitely fall in the category of an HSP and can understand the thoughts you gave on the condition. It is comforting to read in black and white that I am not alone in this regard and there were many passages I highlighted for future perusing. I have recommended your book to my fans of my Fibro Sense page on Facebook as well. I feel it is very beneficial for those of us who suffer. My husband, the real Keddy, ha ha, said he too will read it as I feel he can understand the condition better if he does. I must say that I can relate to the fear aspect of Fibro as my anxiety and panic disorder are strong at this time. I believe I go through flare ups of depression that feeds on my nerves resulting in the anxiousness I suffer from. Much like the physical flare ups, the mental flare ups can be just as debilitating. I only hope to have a better spring and summer at this point as it has been a long winter in Massachusetts. With sunshine I generally have less mental flare ups and can enjoy more exercise as well. Thanks for your continuing educational blog as it is quite helpful to this reader. Thanks so much Eileen: long winters on the east coast…hmmm, I can relate to that, even though we live in different countries! I really appreciated your comments and especially that it is on your Fibro Sense Facebook! Many researchers say that unless something can be quantified scientifically that anecdotal experiences are not valid, but I have yet to hear of anyone who has fibro say that they are not highly sensitive. All say that they were born that way or can remember being HSP all their lives. If asked, they also admit their lives were governed by fear, anxiety and panic. You are certainly not alone. I hope you will do more research on HSPs as the research from psychologists and psychiatrists sounds very hopeful! Dear Heather: Yours is an interesting story! It is so difficult living with a condition that many believe is ‘all in our heads’. I agree with you, being hihgly sensitive is both a gift and a liability, but it isn’t really possilbe in my view to be able to change our basic nature. We are like sponges absorbing all the emotions of others to our own detriment. Thank you for writing about the connection between FMS and being a HSP. It makes such sense to me. I have always been very sensitive. I was constantly teased by my siblings for being “so emotional.” But in the last ten years that has ratcheted up to being almost unbearably sensitive. I believe I have had fibromyalgia for about 20 years – it began after my car was rear ended by a delivery truck and I suffered severe whiplash. Thank goodness my two sons who were in their car seats were not injured. Everything I read says that stress is a huge factor in flare ups and pain in those of us with this dis-ease, as you like to call it. But what is one to do if stress is part and parcel of your life? My oldest son was diagnosed with Type 1 diabetes 4 years ago and has almost died due to complications a few times since then. He is vigilant about his insulin, but has not been able to control it when he has gotten the flu and was hospitalized as a result. Huge stress! My younger son has a genetic condition called Multiple Hereditary Osteochondroma that causes his bones to grow hundreds of benign tumors throughout his body. This has an impact on his range of movement, pain, and ability to do some of the things he would like to. He has had to have 10 surgeries so far to remove tumors, with another probably happening in the next month or so. (We see his surgeon on the 19th.) I am the caretaker of these guys, and I am honored to be that, but the stress is overwhelming at times. I try to manage the stress and worry with meditation, brainwave entrainment, deep breath work, visualization, etc., but sheesh. On top of that, financial worries are a big part of our lives. Any suggestions for stress relief that I have missed? I need to find a new job (lost mine due to the company folding) but I am so panicked and stressed and in pain I can barely face it. I don’t know what to do. I am sorry to hear you awaken with night terrors, but am relieved I am not the only one and not crazy. I thought mine were due to all the stress in my life, but perhaps they are also part of the fibromyalgia? I had not thought of that. I went to go and do some volunteer work this morning and had a panic attack on my way there and ended up turning around and returning home. I was shaking, my heart was pounding and I was in tears all the way home. I came to your site to read about stress and fibromyalgia and your writing is really helping me to see I am not a big baby, I am not a whiner and I am not just making it all up. Now that I see it is not all in my head, I am not sure what to do from here. But at least I see this is physical and I not to blame for feeling so overwhelmed. Thanks for that. I have felt so alone and isolated. Interesting…can you tell us more?? I think your blog is just wonderful! I bumped into in by mistake only last week and cannot stop reading it. I, like you, think that fibro, is a condition of hyper arousal of the nervous system (or as you say syndrome or dis-ease) that has to do with prolonged stress. This was very very obvious too me feeling this certain kind of pain, muscle jumps, twitches and other nervous system relation sensations. When I first started reading the mountain of info on websites web sites devoted to fibro, besides making me very frightened (all you read is very negative) I just wondered to myself how isn’t it SO clear to both suffers and the medical world it’s a problem with the nervous system. And I find all the research a bit funny too. I mean OF COURSE we have abnormalities with our brain chemical after we have the condition we have been in a prolong stress that led to this). But this doesn’t say if this was the situation prior to us getting the condition. So as you say chicken or egg question. Like you I think it’s a matter of brain rewiring. We’re in a sort of hypnotizes state of trauma or fear or anger or frustration (or all) and we have to train our brain to slowly snap out of it in order to heal. This I’m guessing is a process (as getting fibro is a process) but I believe and hope can be accomplished slowly over time. I think we have to take this out of the hands of rheumatologist and into the hands of other processionals. THE SOONER THE BETTER. I completely agree. Reading this has made me feel so much better about my hypersensitivity. I’ve been diagnosed with fibro for 4 years and hypersomnia/narcolepsy for almost a year. After years of people (including my husband) telling me that I’m “Overly sensitize” and emotional, I realize it’s not all just me being “crazy emotional” there is a reason behind it. I agree with all points you made, especially about being empathetic and feeling low self worth often. I have too much empathy to the point I can’t watch violent movies, etc. Also, I have a very keen sense of intuition for situations and people which I attribute to hypersensitivity. What is worse is how easily scared and jumpy I am — everything and anything can and does scare me. Also, very very very ticklish to the point I can tickle myself (and have been able to since I was a preteen). I agree that so much more research needs to be done on our brains! I would be more than willing to participate in studies to help research our little understood syndrome. Prolonged stress I feel has something to do with it as well. 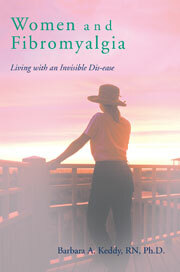 However, my mother was diagnosed with Fibro 15 yrs ago but so little was known about it she disregarded the diagnosis. 2 years ago she had a sleep study where they found her narcolepsy. This makes me think it also is hereditary. I have pain often but only take IB profun as any muscle medication will make me sleep for days (thanks to the narcolepsy). Thanks again!